Welcome to the new developing website of the Paglesham Parish Council. Paglesham lies about three and a half miles as the crow flies, to the east/north east of Rochford Town in the County of Essex. The majority of the area consists of arable farmland with the River Roach to its southern boundary, Wallasea Island to the north and eastern boundaries, Canewdon to the northwest boundary, with Ballards Gore and Stambridge to the east. 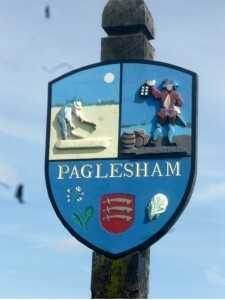 Paglesham Parish is made up of the hamlets of Church End and East End. The civil parish of Paglesham comes within the administrative area of the Rochford District Council. On this website you will find information about Paglesham Parish Council, its Councillors, meetings, Policies & Procedures and the history of Paglesham. As a service to the local community, you will also find here information about local organisations, activities and amenities for which the Parish Council is not responsible and for which it cannot, therefore, accept any liability.